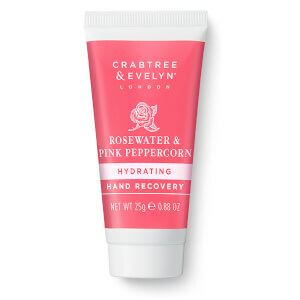 The Crabtree & Evelyn Rosewater Hand Recovery is a dual-action formula developed to alleviate dry, rough skin on hands. Enriched with ultra-hydrating Rosewater, it combines the moisturising elements of a hand cream with gentle exfoliants to effectively slough away particularly dehydrated and calloused skin. As a result, hands feel supremely soft and supple, with a delicate scent of Rose Petal, spicy Pink Peppercorn and earthy Patchouli. Massage into hands and rinse with warm water.